Most of the public is completely unaware of this fact and many people in the medical community, who are cognizant, are in complete denial! On March 1st 2006, five days after my beautiful daughter Emily’s second birthday, my wife and I had to make the worst decision of our entire lives, to take our little girl off of life support. That horrific day will always remain permanently burned into my memory and it haunts me every single day. It was only by the Grace of God and His new little angel Emily that truly saved me from myself in the years that followed this unimaginable tragedy. It was also on that day, that I knew in my heart that my life had drastically changed forever. I absolutely understood that there was no way to bring my sweet Emily back, however, I also knew that I could find out exactly what happened to her and, subsequently, find ways to ensure that other babies, children, and their families, didn’t suffer a similar fate. I still continue to have, and have always had, the utmost respect for modern day science and medicine. After all, it was modern day medicine and the advances that have been made in research and development of new leading edge treatment methods that had actually cured my Emily of an extremely life threatening, horrible, tumor that, just 10 or 15 years prior would have proven to be fatal for any patient with that particular diagnosis. Shortly after Emily’s heartbreaking death from a horrible medication error, I immediately began researching preventable medical error, desperately trying to educate myself on why these tragedies occur at such an astonishing number in the United States and globally, each and every year. To me, as well as many others, these annual numbers of deaths that had been reported in historic studies like “To Err is Human” in 1999, by the Institute of Medicine (IOM), were completely unacceptable and did not have to happen in the first place. Again, in my opinion, they are called preventable medical errors for a reason. They really are preventable! When the IOM first introduced this landmark study in 1999, they tried as best as they could to very accurately assess the number of deaths that occur every year in America. The number that they were able to quantify, at that time, was over 100,000 lives each and every year. I was completely shocked to learn that this many people died every year just like Emily did! In the years following this initial IOM report, through the use of what are called “global trigger tools”, SBAR (Situation, Background, Assessment, and Recommendation) tools, etc., the new numbers of estimated deaths in the United States from preventable medical errors, began to climb substantially and double to over 200,000 lives lost every year in America. I began to think to myself that either number was horrific and senseless. There were so many questions that I had. I started to wonder why the total number of deaths had doubled? Were there really twice as many people dying from preventable medical error a decade after the IOM’s report, or was the core of the problem in the accuracy of the reporting? If this was the case, was the real number of deaths that occur annually in the United States even larger than the 200,000 that was being used? Then I began to ponder the question, that in 2006, when Emily died, would she have been included in those numbers? If not, her short life wouldn’t have even amounted to an accurate statistic. Was that what everyone was telling me? As her father, my biggest fear was that my little Emily would have been completely forgotten and her short life wouldn’t have even been counted, as if she had never even been born. What about all of the other lives that had been lost so tragically from preventable medical error? All because we as a society and the medical community had no way of accurately counting the real number of lives lost to preventable medical errors. As you can probably already tell, this whole notion has never sat very well with me. As I’m sure you will agree, this is definitely not the way we should be honoring our loved ones, especially after their lives had ended so abruptly and unexpectedly! 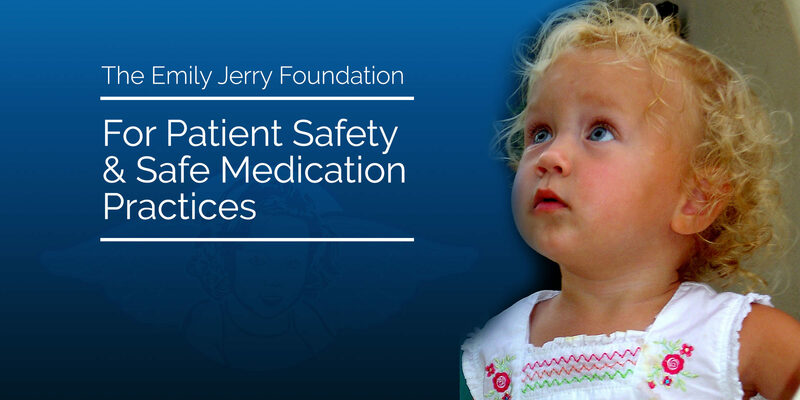 A retired NASA scientist by the name of John James, who heartbreakingly lost his 19-year old son to multiple preventable medical errors as a result of cardiologist’s mistakes at two separate medical facilities in Houston, also dedicated the remainder of his life’s work to honoring his son’s life by improving hospital safety and founding an organization called Patient Safety America. Flash-forward to September of 2013, John authored a comprehensive study that had its conclusion published in the Journal of Patient Safety called “A New Evidence-based Estimate of Patient Harms Associated with Hospital Care” (September 2013 – Volume 9 – Issue 3 – p 122–128). This ground breaking study put the new number at 440,000 lives lost in America every year due to preventable medical error, making preventable medical error the third leading cause of death, aside from heart disease and cancer! Shortly after this important study was released, I began presenting and discussing it’s validity in virtually all of my presentations with some of our nation’s brightest minds in medicine. I was really hoping and praying that the “experts” in the medical community would be able to tell me that it wasn’t really true. I became obsessed with requesting anyone who would take the time, including a few people associated with the IOM, to review this study in an effort to find any possible flaws. To date, absolutely no one has been able to find any. In fact, the feedback I have received has been quite the contrary. A number of respected people in medicine have said, that in their professional opinion, they believe the annual number of deaths in our nation most likely exceeds 440,000! As utterly shocking as these numbers are, my biggest fear now is the very “human” conditioned response to problems that appear so incredibly overwhelming, hopeless, and unfixable. It’s very common for virtually anyone to go through a stage of complete denial with respect to the real situation and problem at hand. With this thought in mind, I am genuinely hoping and praying that we as a society, as well as, the medical community, patient safety oriented organization, and fellow advocates like myself, can get past this denial stage, as quickly as possible and truly begin fixing the problems associated with “human error”, internal systems, processes, and protocols, in medicine that are leading to hundreds of thousands of lives lost every year in America. With real hope, forgiveness, compassion, and collaboration, I truly believe we can get to zero deaths from preventable medical errors during my lifetime!